Helping to build brands on Amazon.com®. K.S. 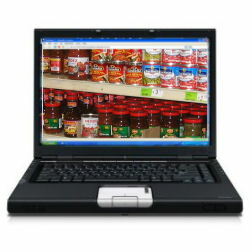 Specialties’ sole business is representing manufacturers to Amazon.com's new grocery web store. Our goal is to help our manufacturers generate greater profits, increased volume and brand exposure by placing their products on the shelves of the world's largest general store. Amazon® is an aggressively growing company that continues to expand and present new product lines at a rapid pace. Manufacturers of food and grocery related products that want to be on the cutting edge of profitable new opportunities will benefit from our experience as a food broker in marketing their products effectively to Amazon's large customer base. Amazon.com offers an extremely wide selection of products and their buyers are responsible for far more SKUs than typical retail buyers. Computer automation helps their product management tremendously but, as we all know, even the best computers do not have the intuitive feel that experience provides. We can keep our focus on your sales data and anticipate problems before they arise. Our job is to then efficiently communicate with Amazon for timely resolution, preserving your sales and profits. Amazon.com, over the past five years, has exceeded $1 billion in sales growth every year! If you would like to become part of the online profit machine that Amazon provides, we can show you how!